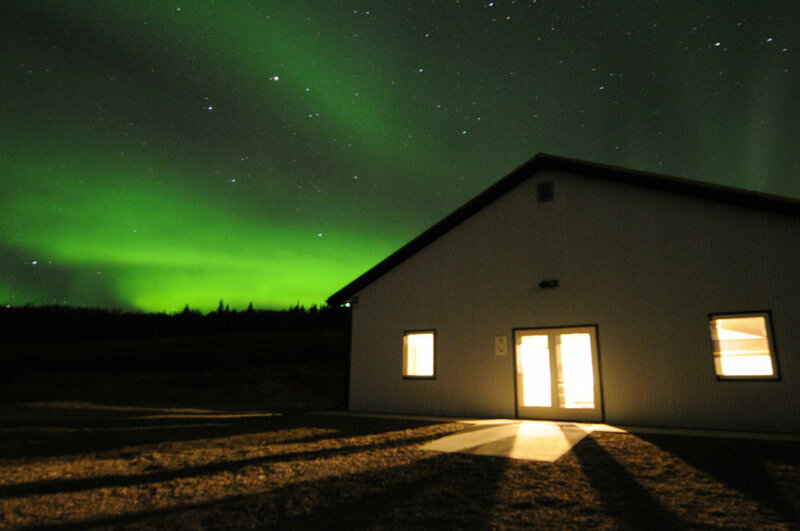 Aurora Pointe is located just fifteen minutes outside of downtown Fairbanks, Alaska. Open daily by reservation for seasonal aurora viewing, Aurora Pointe offers the best of the interior to visitors and locals alike. In the Summer of 2018, we broke ground on building this new facility. Bringing countless years of experience to the area, we have created a versatile, multi-functional facility unlike any other in Fairbanks. We share 280 acres of private, homestead land with sister our sister company, A Taste of Alaska Lodge, which are both owned by third-generation Alaskan Kory Eberhardt. The property was homesteaded by Kory’s grandfather, Walter Eberhardt, in 1947. Kory and his family have owned and operated the lodge since 1992, and have been growing as a staple in the community ever since. Aurora Pointe is the interior’s only dedicated event-hosting space and is the perfect backdrop for weddings, conferences, corporate retreats, and private parties. Our acreage is drenched in natural beauty and family history, which spans four generations. Our unique offerings make us unlike any other place in Fairbanks, and we strive to make every visit a true Alaskan experience.